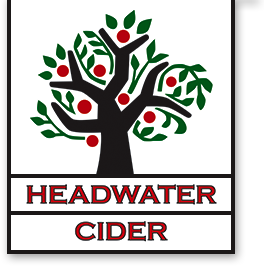 Headwater Cider Company makes cider in the New England style. The product is delicious: A crisp, dry cider with just a hint of orchard sweetness. The apples are grown at the orchard in Hawley, MA. 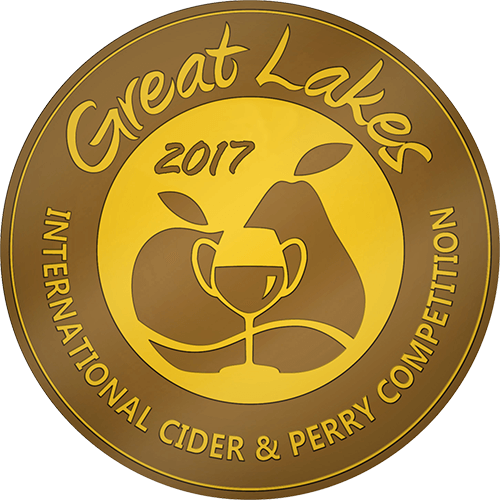 They are pressed, fermented, and bottled in our cider mill at the heart of the orchard. 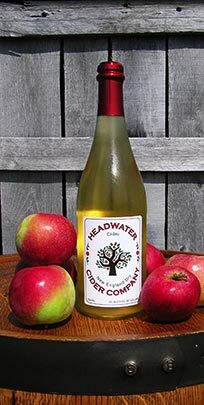 The current offering, “New England Dry” (from the 2011 harvest), is made with Macintosh, Cortland, and Empire apples. It is fermented to 8% alcohol and bottled in 750ml bottles. In 2013, we released “Ashton Blend”. This cider showcases the high tannin apples Ashton Bitter and Ellis Bitter, and the bountiful Honeycrisp. It is fermented to 8% alcohol and bottled in 750ml bottles. I hope you enjoy the ciders. You'll find them crisp, clean, and dry. They have bright apple bouquet and flavor, yet enough backbone to stand up to a sharp cheese or rich meal. The ciders are available at many fine local stores. If you don't see them in your favorite store, please have the proprietor contact me.